Are you afraid of being a careful consumer? I’m not ashamed to say that before I took on a more minimalist lifestyle, I had a fear that having fewer, better things would get boring. I love testing out new products, discovering little shops, trying new things. Could I ever tame my consumerist beast? At one point in my life, I really did think it was easier to just buy a new shirt or new socks than mend my old ones that might have minor wear, or treat minor stains. But now that I’ve drastically reduced the things in my life, and drastically changed my shopping and consuming habits, I’m here to say that my fears were (while possibly totally valid) definitely kind of ridiculous and did not reflect the reality of this lifestyle. I make a lot of my own stuff from cleaning products to my daughter’s diaper cream. I have fewer clothing items and yes, I mend my family’s clothing if there’s a tear. Though I haven’t darned a sock recently (shout out to Darn Tough socks! ), I can understand that it would seem that I’m always making stuff or fixing things. It’s not the case. I have more time, somehow. Perhaps it has something to do with not wandering the aisles of a local shop every time I need new hand soap or a new shirt to wear to such-and-such an event. This quote from The Guardian sums it up well. 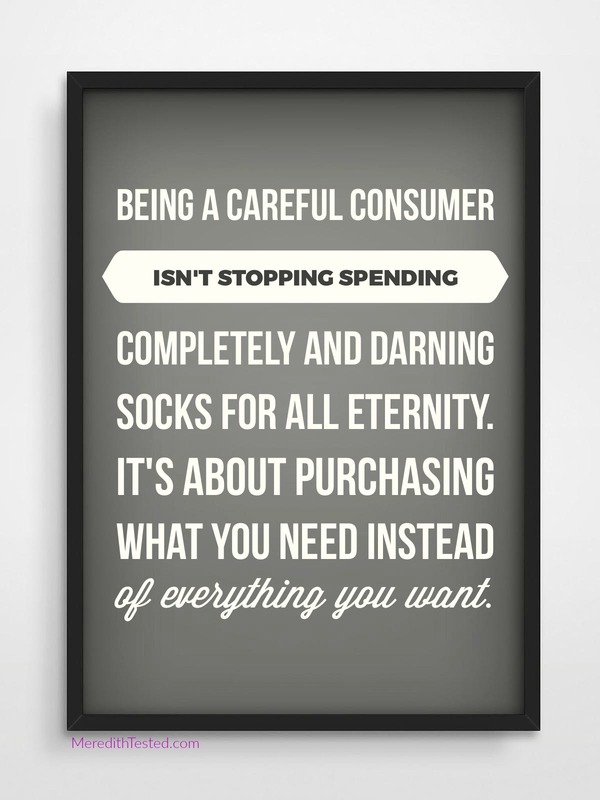 Being a careful consumer isn’t stopping spending completely and darning socks for all eternity. 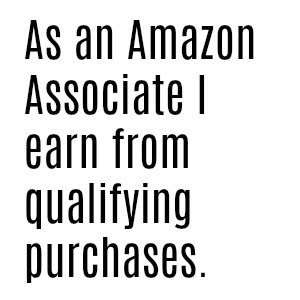 It’s about purchasing what you need instead of everything you want. In fact, I think my “wants” have changed dramatically in recent years. I have wants and wish lists, for sure (ahem, RMS mix master, you will be mine soon I hope…) but I’m not dominated or driven by them. I am very aware of what I already have and what would truly help my life or bring me joy – not just for a fleeting moment. Maybe we’re beginning to [realize] that constant consumption is like running on a treadmill – we’re getting nowhere fast, often being chased by credit cards and overdrafts. What do you think of this quote? Do you have fears about minimizing your purchases?